Electrical engineers have the monumental task of designing, building and developing the next-generation of electronic devices and protocols to enhance all facets of society. New developments in robotics, internet security and wireless networking are often the result of hardworking electrical engineers. Graduate study in electrical engineering can lead to fascinating and lucrative careers in industry, government or business, as well as further study in a doctoral program. At Stevens, graduate students participate in cutting edge faculty research projects funded by the National Science Foundation, Air Force Research Laboratory, Office of Naval Research and various private organizations. 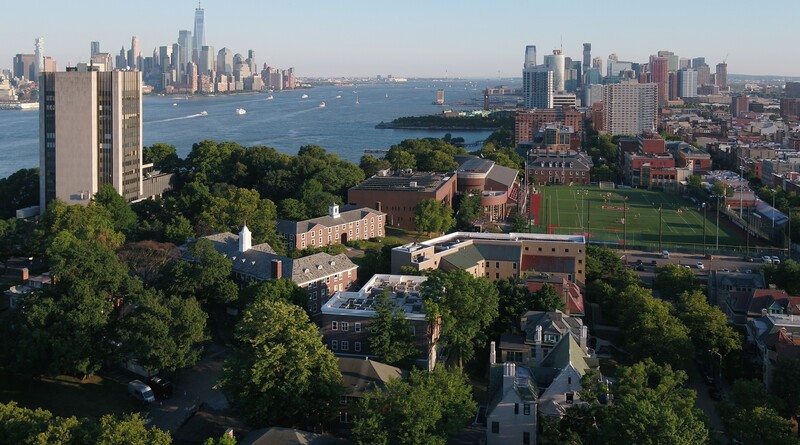 Just 15 minutes from downtown Manhattan, Stevens also provides you with excellent career networking opportunities. Our professors are well-networked and hold prestigious distinctions from career organizations such as IEEE, giving you the ability to connect with startups and other companies developing groundbreaking new technologies looking to recruit top level talent. The electrical engineering master's program offers two tracks of study - a master of science or a master of engineering. In addition to the M.S. and M.Eng., students have the option to pursue a dual MBA degree with the Stevens School of Business. Stevens is ranked 8th in the nation for "Best Online Graduate Computer Information Technology Programs" in 2019 by U.S. News and World Report. We welcome applicants who are excited about developing tomorrow’s technologies. Both degrees require a bachelor's degree in electrical engineering or computer engineering. Applicants from other degree programs—engineering, physics or mathematics—must complete prerequisite courses and have an exceptional academic background to be considered. The electrical engineering master's program develops in-demand knowledge and skills to put you on track for career success. Victor Lawrence is a well-regarded engineer and inventor, IEEE Fellow, and NAE member researching intelligent communication networks. Our renowned laboratories give you the opportunity to explore cutting-edge hardware and software development, as well as theoretical and applied research projects with faculty and regional institutions.